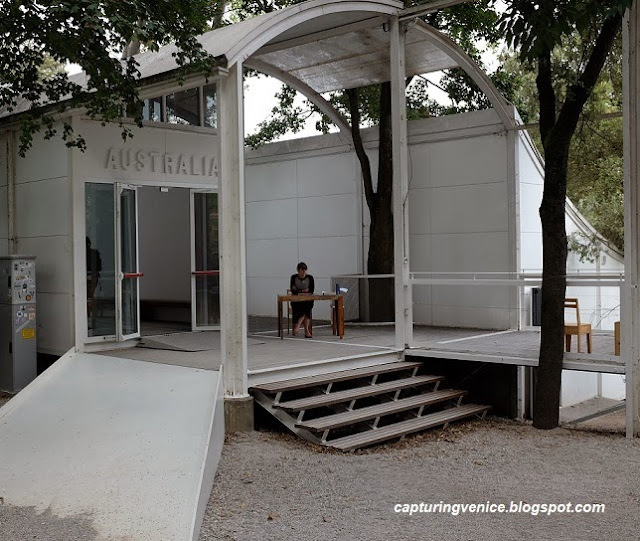 In my previous post, I wrote that In 2011, the Australia Council announced its intention to replace Australia’s temporary pavilion (built in 1988 by renowned architect Philip Cox) at the Venice Biennale with a new, permanent structure to be inaugurated at the 2015 Venice Biennale, when Fiona Hall AO will be our featured artist. 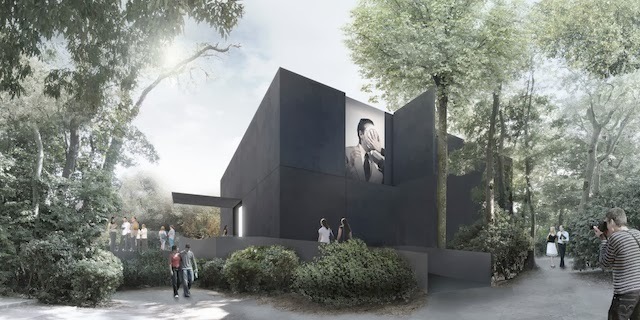 In April 2012, the Australia Council announced that a design concept by Australian firm Denton Corker Marshall (DCM) had been chosen from a shortlist of six Australian firms for the new Australian Pavilion. Australia is the first country to re-develop its site in the Biennale Gardens. This is an ambitious project, costing around $6 million dollars, and it is being funded by the Australian Government with substantial support from Australian philanthropists. As much as I feel sentimental about our dear old pavilion (see my previous post on the subject), I am excited by DCM’s winning concept. Other DCM buildings include the Museum of Sydney, Melbourne Museum, and the new Stonehenge Visitor Centre in the UK as well the Australian embassies in Tokyo and Beijing. DCM’s plan is for a building made of South Australian granite, with a back of house ground level accessible from the canal alongside the Australian site. 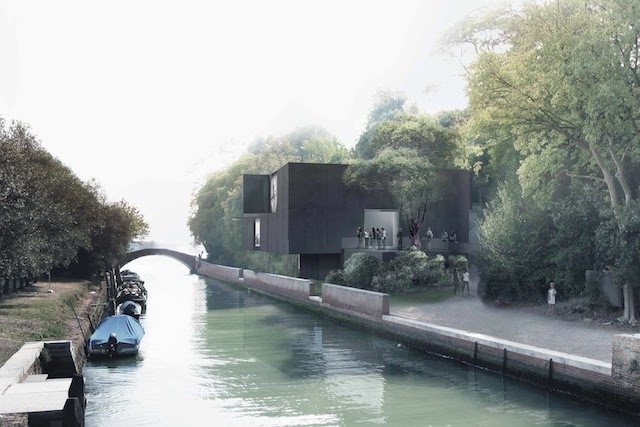 with a gallery space on the top level, cantilevered over the canal. A six-metre high white box will sit within the black box with polished concrete floor and reception space. 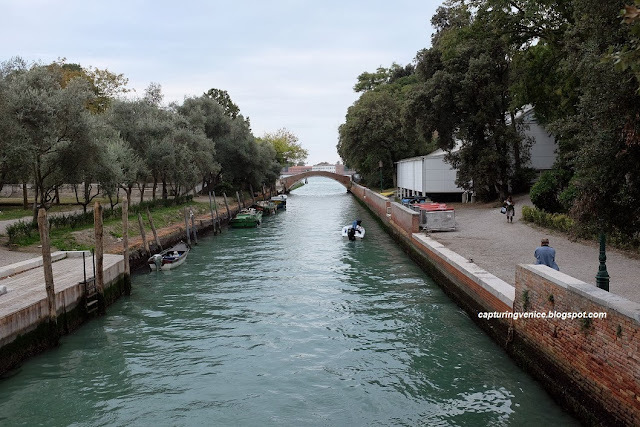 I'm very much looking forward to meeting the new Australian Pavilion at the 2015 Venice Biennale. Wow, very interesting! That's a pretty dramatic change to the view one will have from the canal--and even, it seems, from the primary bridge leading to Sant' Elena! I wonder how soon construction will start. Good on ya, Aussies. I guess a trip during the 2015 Biennale is on the cards. Sig. Nonloso: I'm guessing that construction would start as soon as possible - it's a tight deadline before the 2015 Venice Biennale. Australia's contribution to the 2014 Architecture Biennale will be presented in the absence of a Pavilion. That's on my blog post list of writing to do!